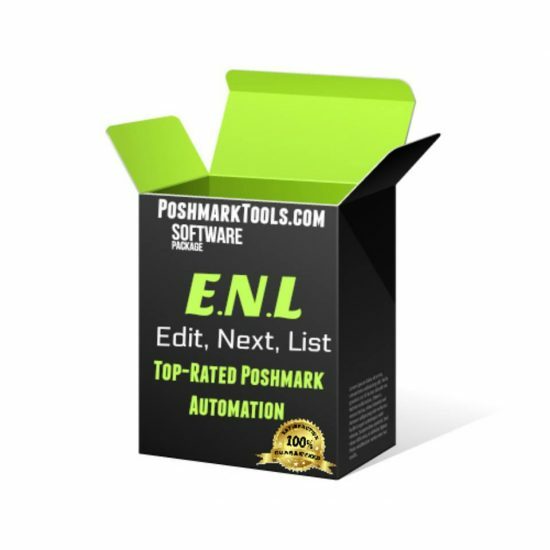 Poshmark Pro Tools is an easy and highly effective software which is proven to generate sales, followers and exposure. 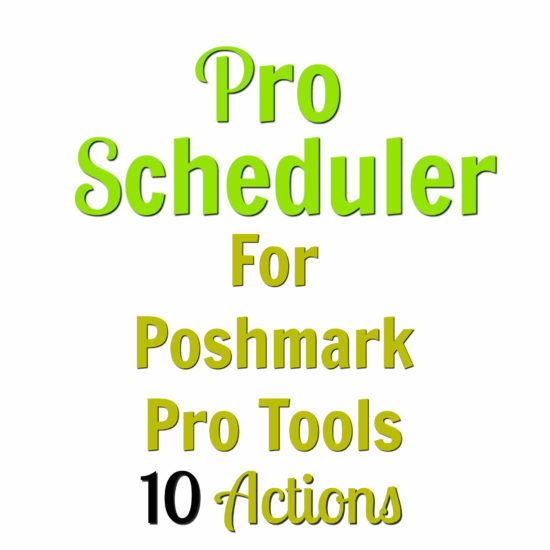 Poshmark Pro Tools was strategically designed by power-selling Poshmark sellers to make Poshmark easier and less time consuming for every Poshmark user. 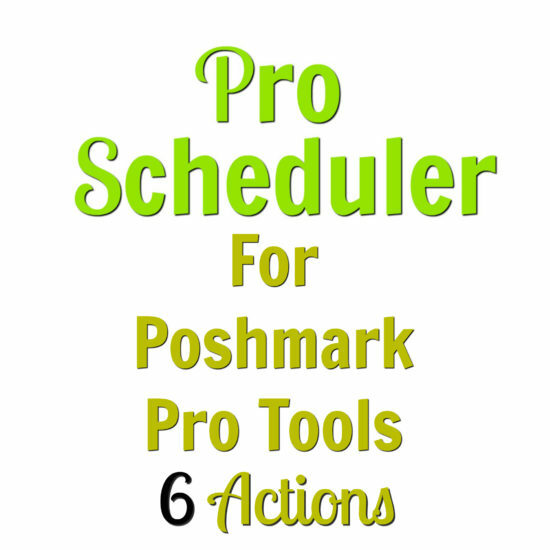 Poshmark Pro Tools is a brand new software designed with one thing in mind, to get you sales and exposure on Poshmark. It works by automating your tasks such as sharing & following, the 2 major factors that will get you sales. Our clients who use the software are increasing their sales EVERYDAY. Once you start using the software, you will notice that you will be getting more bundle requests, offers & followers. That is because each module of the software is designed to be powerful and do what it is designed to do. Our software is designed to share YOUR closet & OTHER USER’s closets. You can also share multiple closets in order! 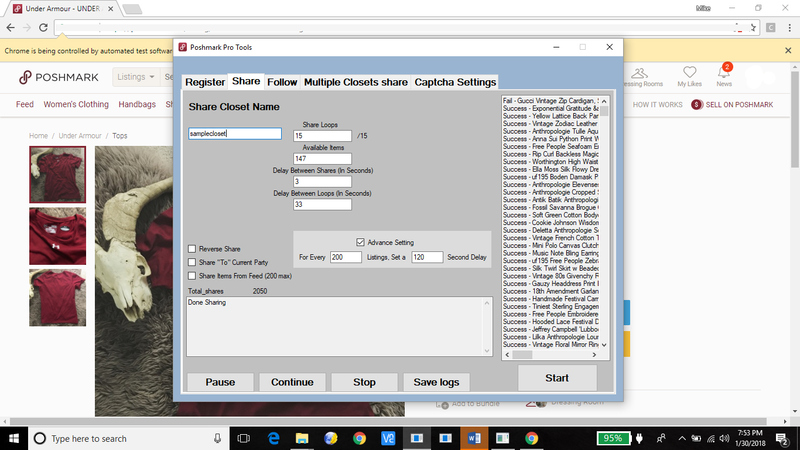 You can input the amount of times you’d like to share a closet & the available listings to be shared. You can also change the timing interval between shares to increase account security, so Poshmark security algorithms do not pick this up. You can follow other user’s closets followers, or follow the closet in which the specified user follows! Poshmark Pro Tools is dedicated to protecting your account, we offer the latest and greatest when it comes to being UNDETECTED by Poshmark security algorithms. There is a built in interval timer between shares & follows. You should not set this too low, otherwise it can look suspicious if you share TOO fast. We also offer captcha protection by detecting captchas and pausing the software as soon as a captcha has shown its ugly face. You are then able to complete your captcha, press continue and be on your way to more sales! Although we cannot guarantee the safety of everyone’s account due to some people abusing the software, we know that if you follow our guidelines set out in our training video you will have nothing to worry about, we have designed the software with your account’s safety in mind. We offer the option to export all of your shares and follows to an Excel spreadsheet to keep track further of your stats. This software is valued at $199, but for a limited time, we are offering a discount. This software will pay for itself, you will learn that it is probably THE BEST investment that you have ever made during your time selling on Poshmark. We are so sure that you are going to love this software, that we arent going to even let you pay HALF of what the original price was. IN FACT, we are going even LOWER.